Bacharach's music has been sung by a number of popular singers including The Beatles,The Carpenters, Aretha Franklin, Jack Jones, Tom Jones, Dusty Springfield, Luther Vandross and The Drifters. He met Dionne Warwick, with whom he would form a famed collaboration. His songs are characterized by (1) the use of unexpected harmonic changes and (2) unusual rhythmic patterns and time signatures. He employs times such as 5/4 or 3/2, and frequently goes from one time signature to another in the same song, often after each measure. He also changes keys frequently. An excellent example of his style is "Promises, Promises", from his score to the musical of the same name. He has a total of 52 Top 40 hits. In addition, many of his songs were adapted by jazz artists of the time, such as Stan Getz and Wes Montgomery. 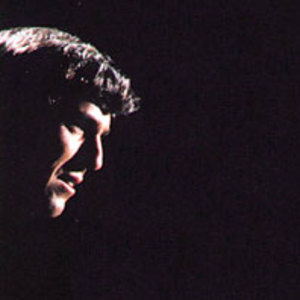 The Bacharach-David composition "My Little Red Book", originally recorded by Manfred Mann for the film What's New, Pussycat, and promptly covered by Love in 1965, has become a rock standard. He composed and arranged the soundtrack of the 1967 film Casino Royale. He has been married four times, to Paula Stewart (1953-1958), to actress Angie Dickinson (1965-1980), to lyricist Carole Bayer Sager (1982-1991) - with whom he collaborated on a number of pieces - and (since 1993) Jane Hanson. He has a total of four children, two girls and two boys. In 1998 he collaborated on an album called Painted From Memory with singer/songwriter Elvis Costello. His 2005 album At This Time features collaborations with Costello, Rufus Wainwright, and Dr. Dre (who provides bass-and-drum loops). Bacharach has had cameo roles in a number of Hollywood movies including all three Austin Powers movies. His music is also credited as providing inspiration for these movies. During subsequent Burt Bacharach concert tours, each show would open with a very brief video clip from the movie Austin Powers: The Spy Who Shagged Me, with Mike Myers (as Austin Powers) uttering "Ladies and Gentlemen, Mr. Burt Bacharach".